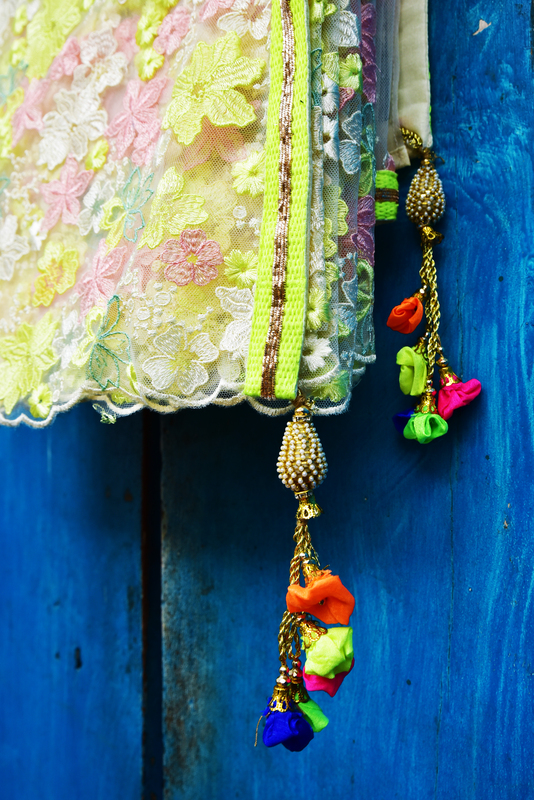 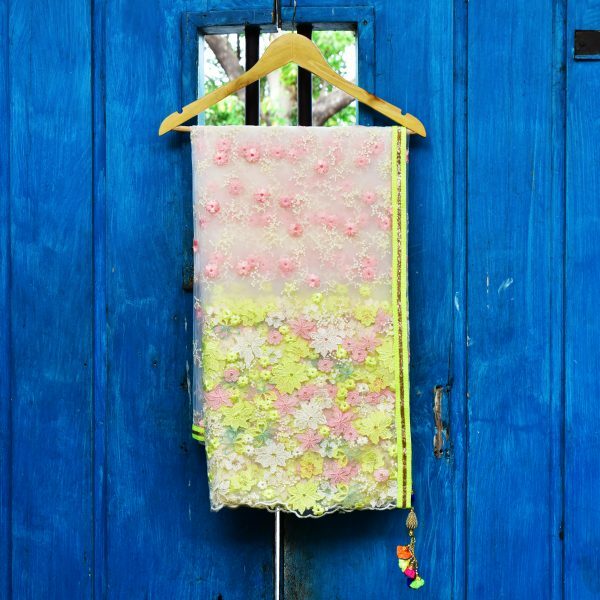 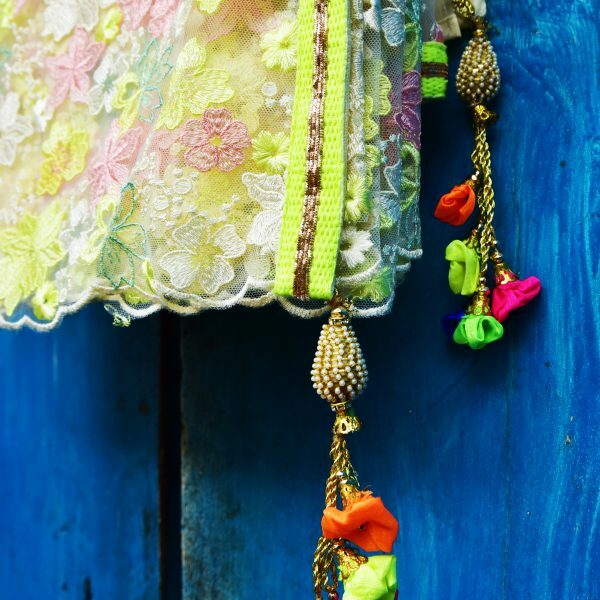 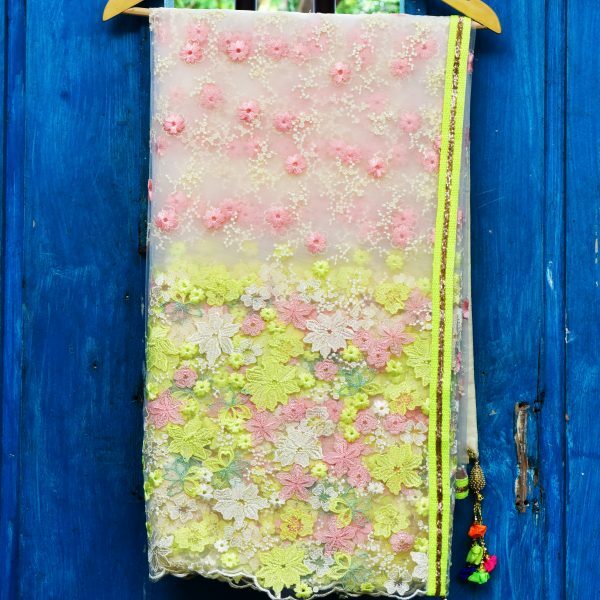 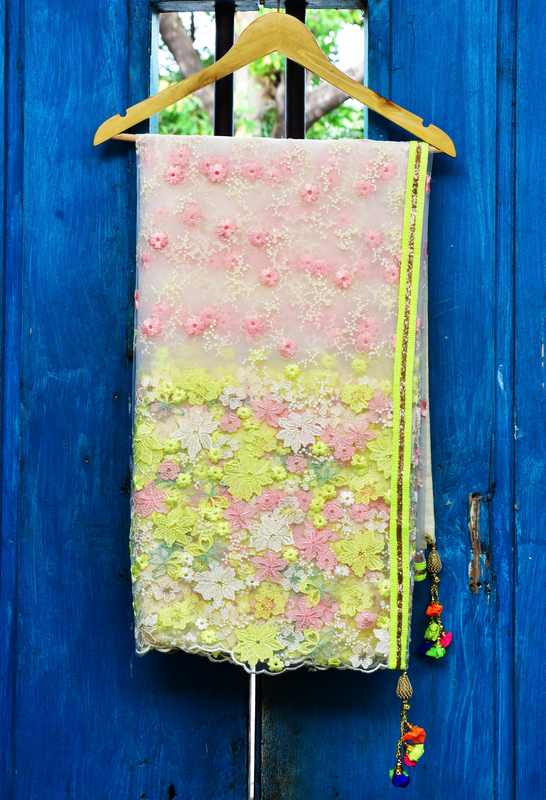 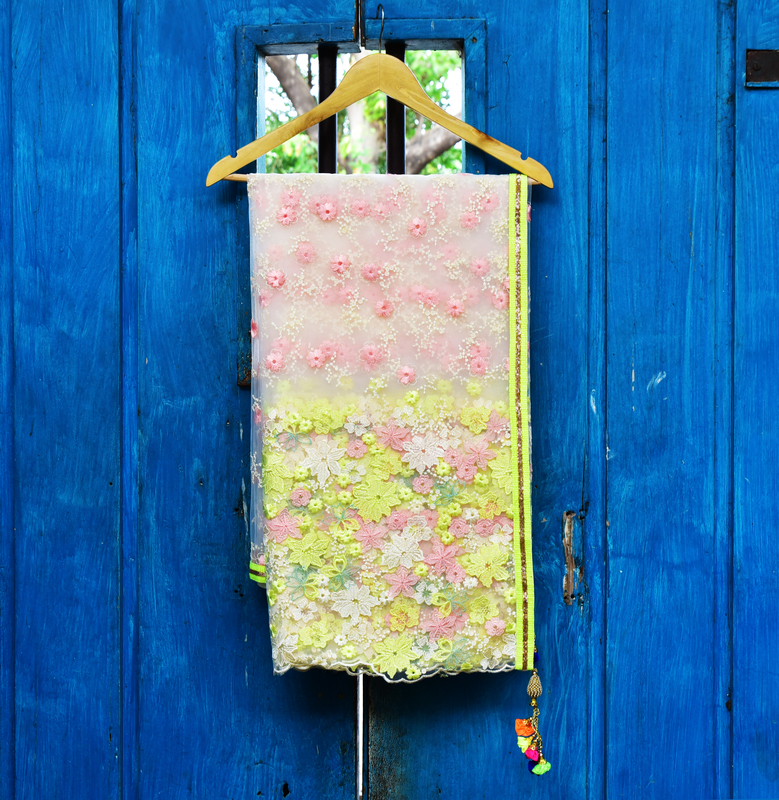 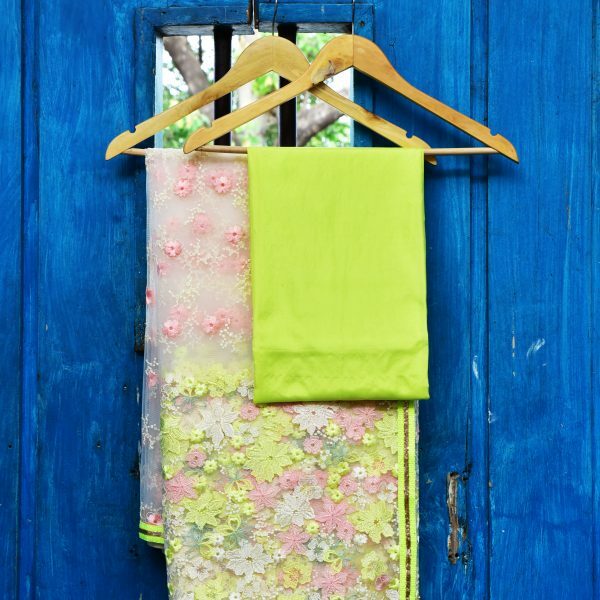 Net saree with all over embroidery work in white and pink flowers and the base has multiple colours of neon, mint, pink and white. 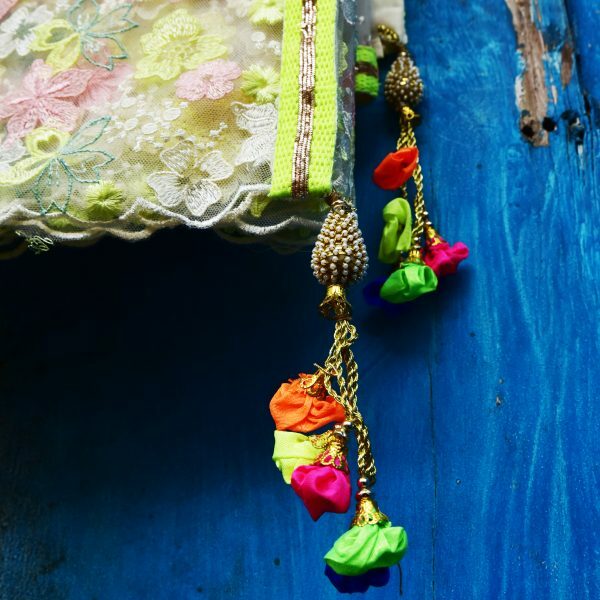 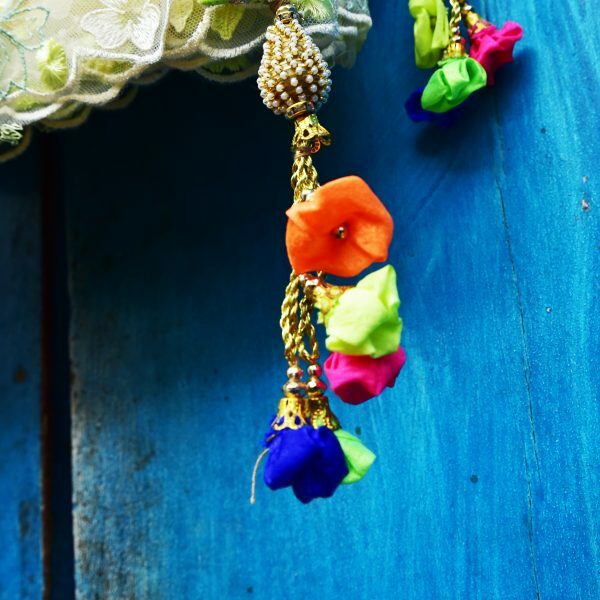 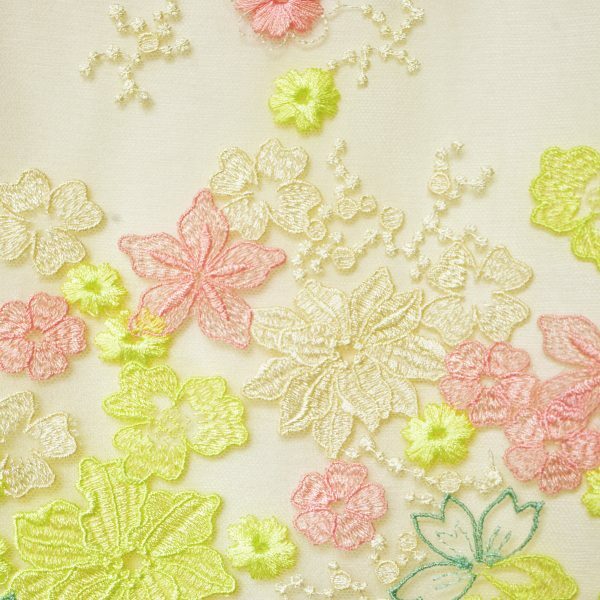 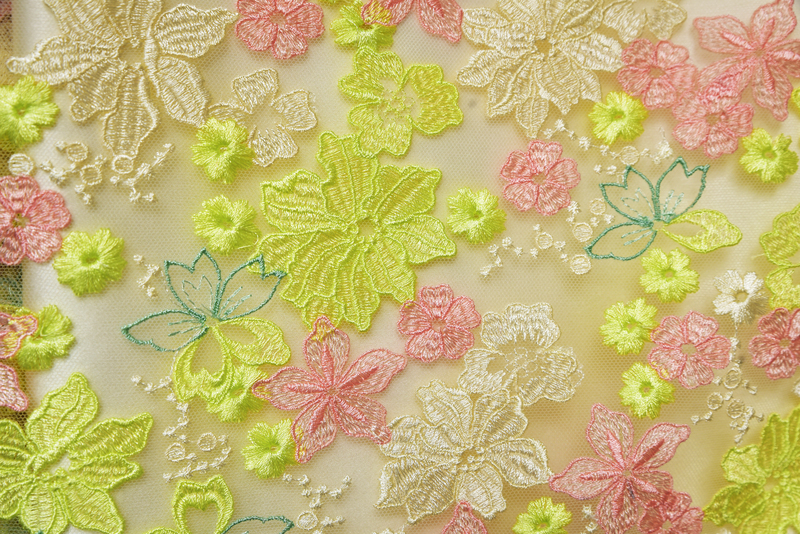 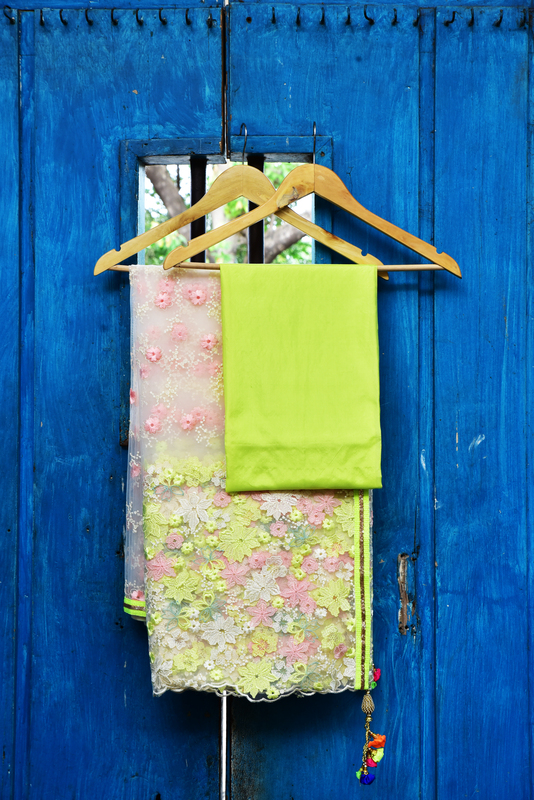 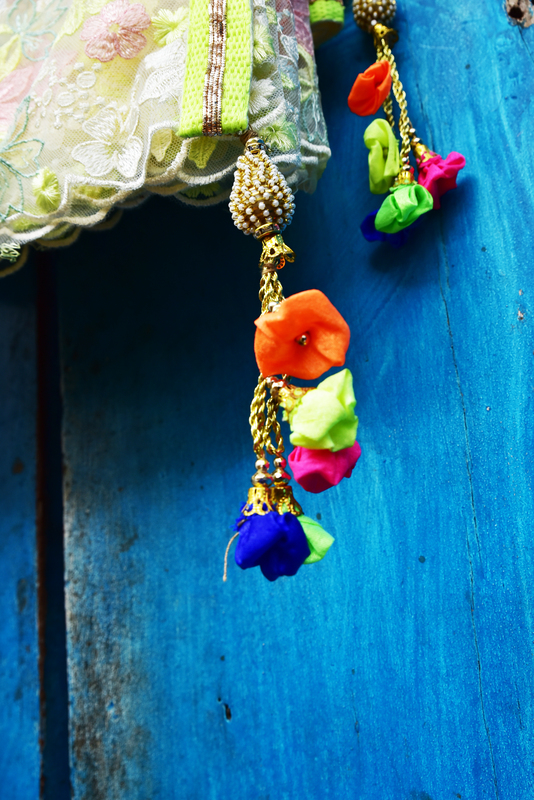 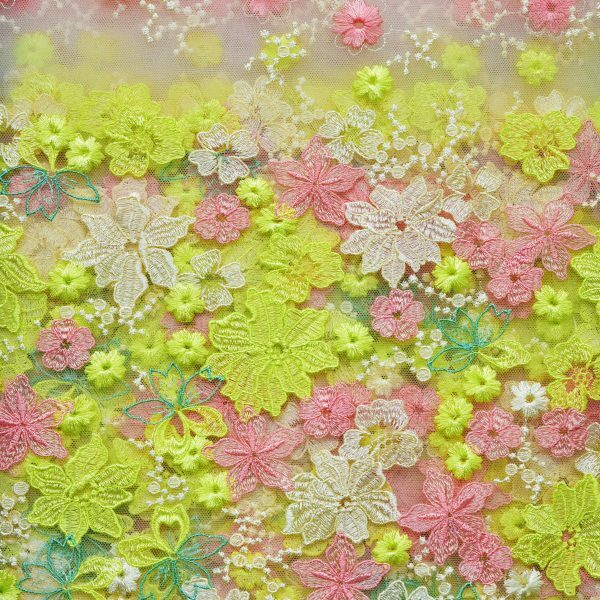 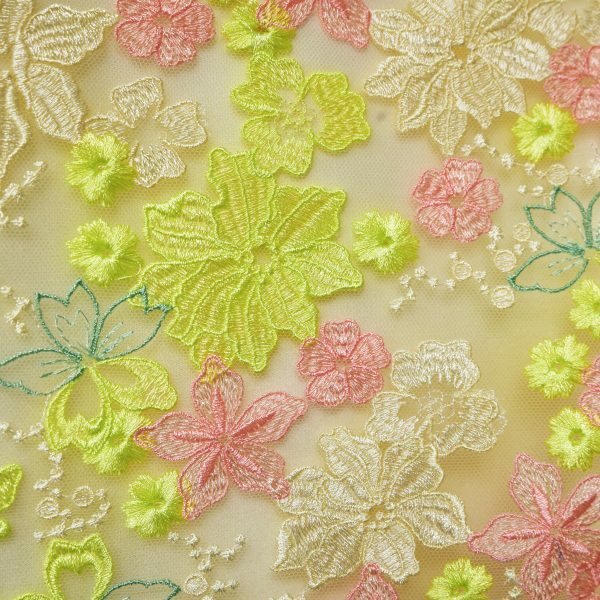 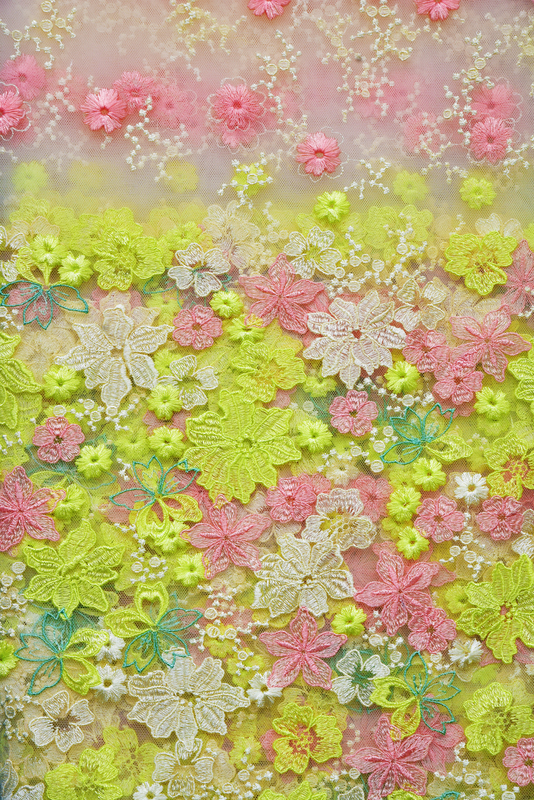 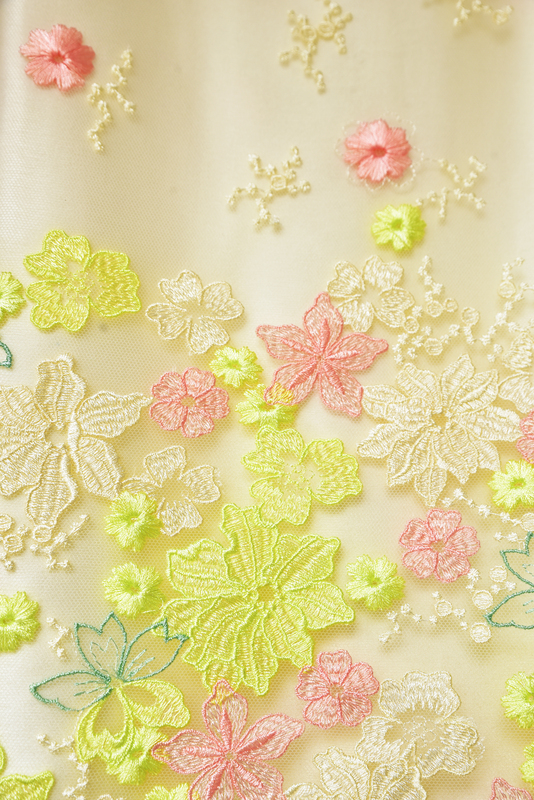 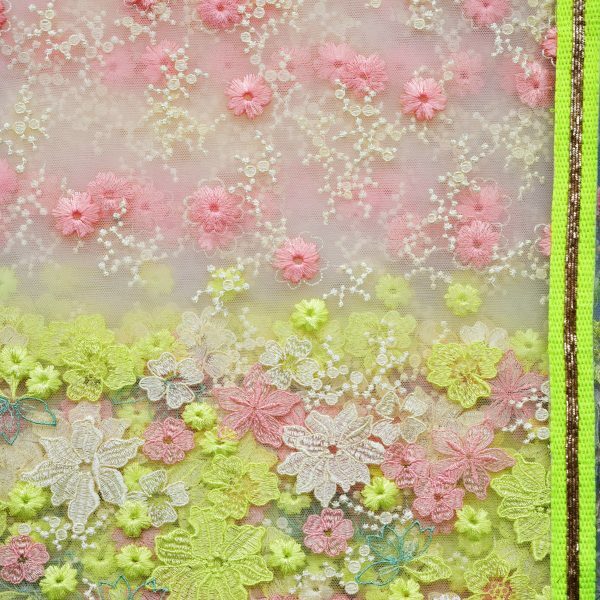 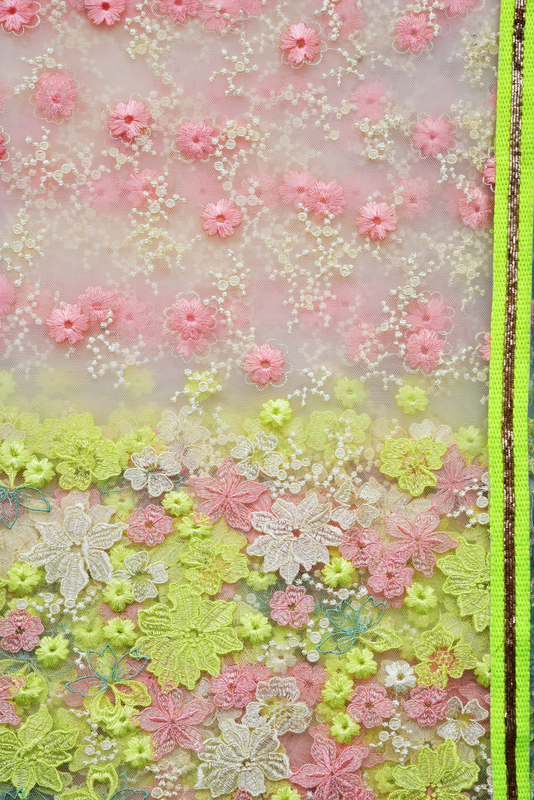 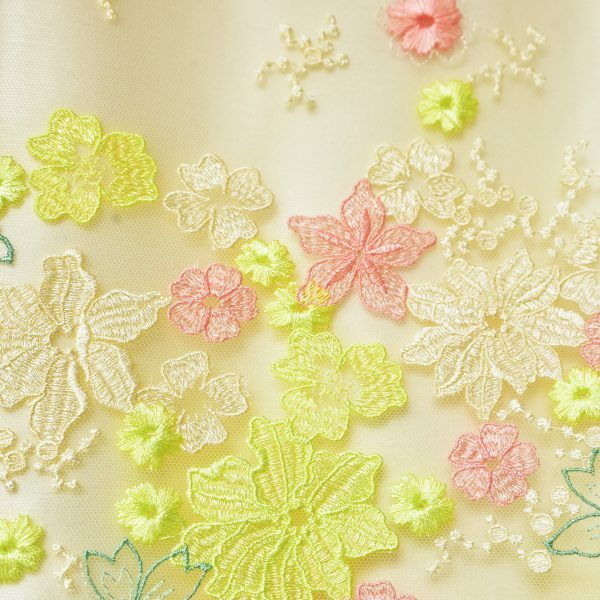 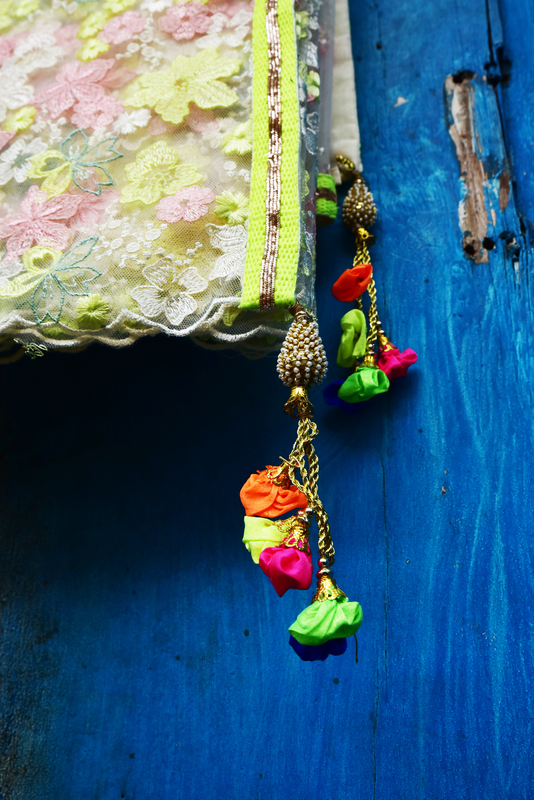 Neon border with pearl flower latkans. 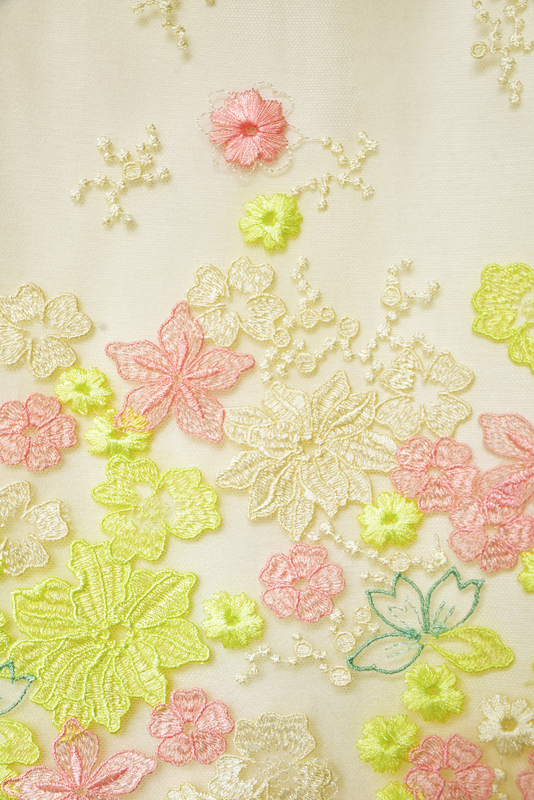 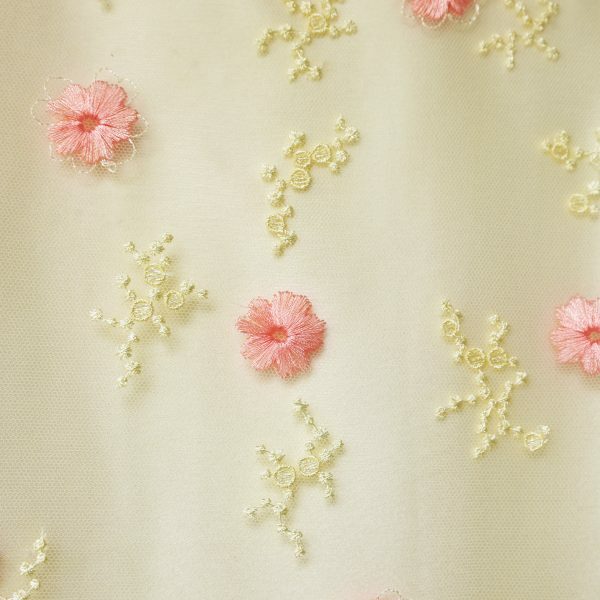 The blouse piece is art silk. 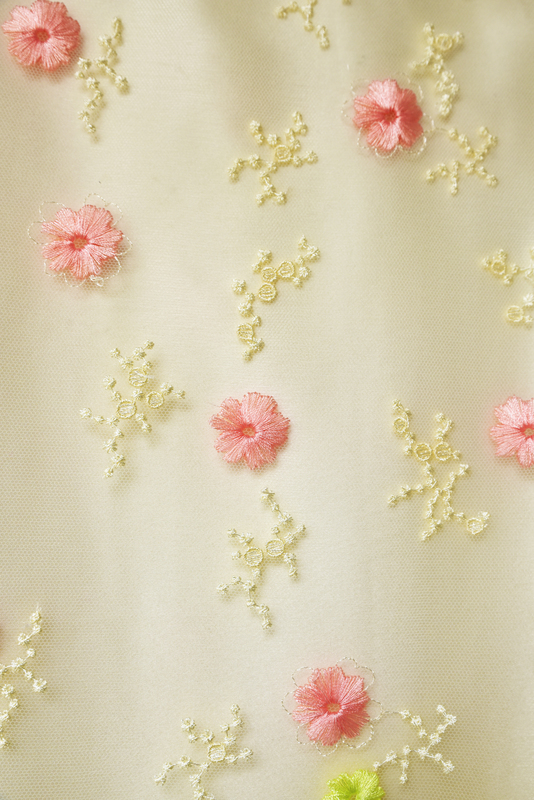 A matching satin petticoat is provided.